For over 100 years, Bow Brand has been producing natural gut strings and is today recognised as one of the largest manufacturers of natural gut music strings in the world. 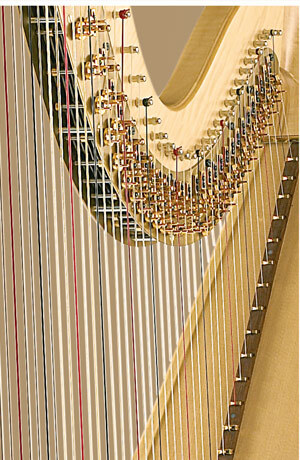 Creating high quality harp strings for the UK market and countries in Europe, North and South America, Canada, Middle East, Far East, South Africa and Australia – Bow Brand strings are used by harpists and harp manufacturers worldwide. From our site in the UK, Bow Brand specifically designs gut, wire and nylon strings in a wide range of diameters to complement Italian manufactured Salvi harps and Lyon & Healy. The oldest harp manufacturers in the US. We also manufacture authentic strings for early music instruments including the Baroque Violin, Viol, Medieval Fiddle and Chanterelle.